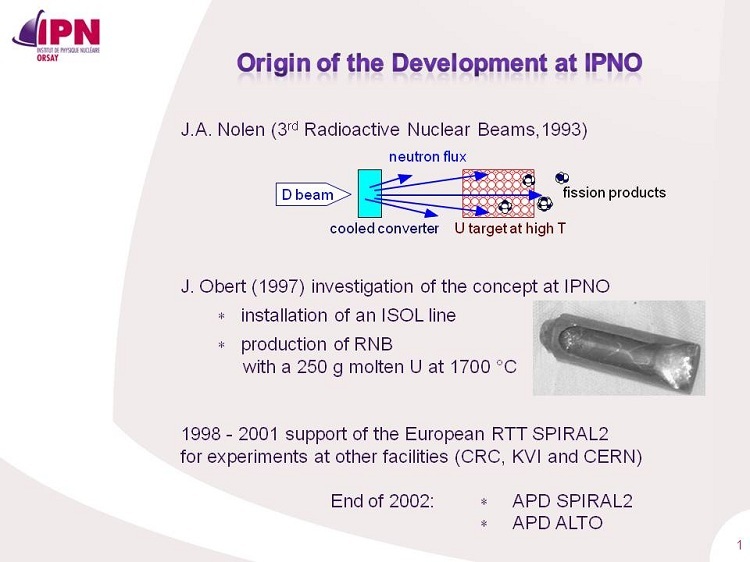 Having developed at ALTO a long experience in targets and ion sources for radioactive nuclear beams, IPNO has been involved for SPIRAL2 in the development of major tasks in this topic. During the construction phase of SPIRAL2, ALTO has taken in charge a full R&D program for the fission target and a R&D program for the development of a plasma ion source. The R&D program for fission target has included also developments on a high temperature oven for massive uranium carbide target, and on a dedicated radioactive target lab. 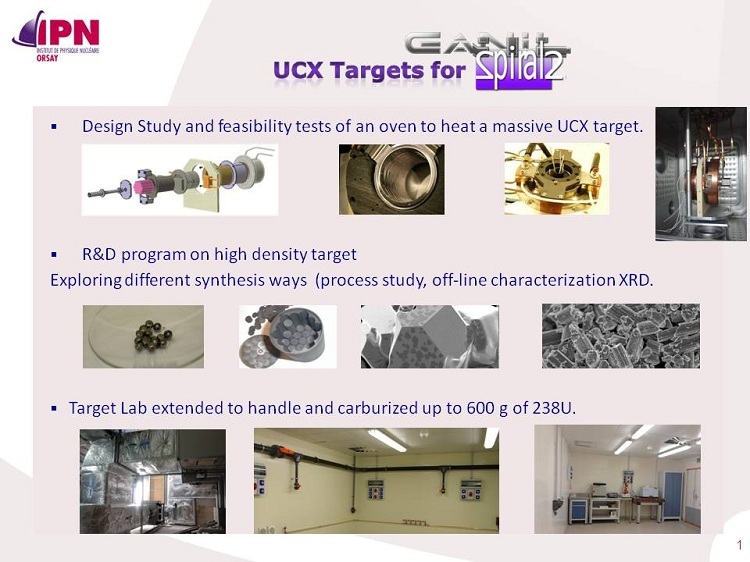 The development on Uranium Carbides has been focused on the synthesis of dense target material in order to get highest production yields, according to SPIRAL2 specifications.